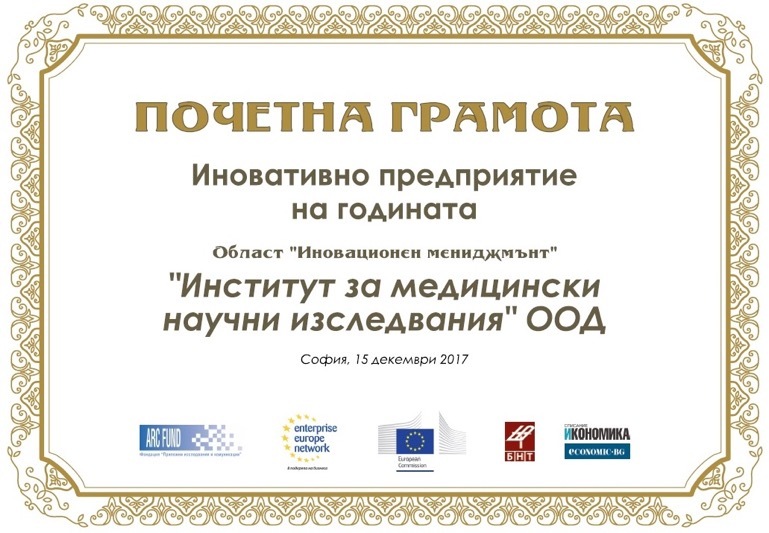 Тhe 13th edition of the competition “Innovative Enterprise of the Year – 2017” took place during the National Innovation Forum on 15 December 2017. The forum was held under the auspices of the President of the Republic of Bulgaria Rumen Radev and with the special participation of Mr. Tomislav Donchev – Deputy Prime Minister of Bulgaria and Mr. Ognian Zlatev – Head of the Representation of the EC in Bulgaria. For Innovative Management, Institute of Medical Research Ltd. was awarded an honorary certificate. 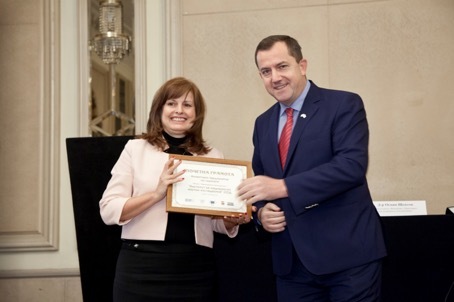 IMR– The First Private Institute for Medical Research in Bulgaria is focused on innovation and international projects in personalized medicine, diagnostics and genetic research. The company has a high quality management of its innovative activities according to internationally recognized criteria.